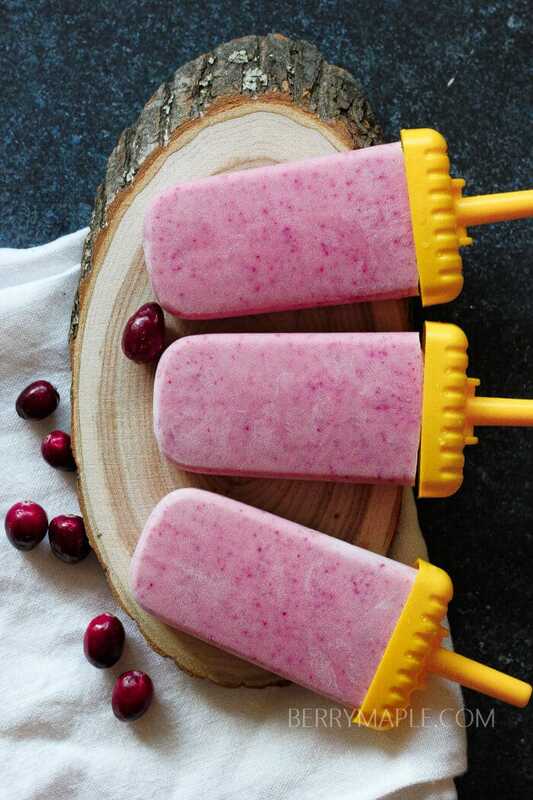 Surprise your guests with these festive holiday themed eggnog cranberry popsicles! 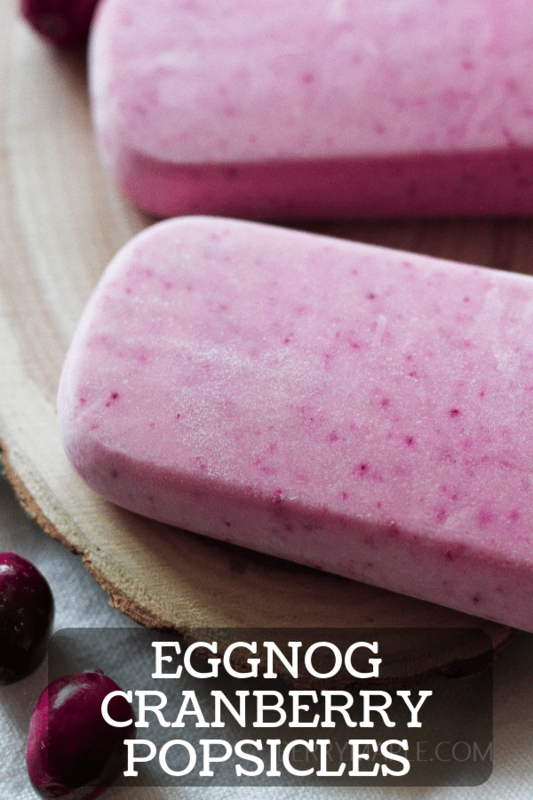 Have you ever tried eggnog popsicles? Let me tell you, i didn’t until i created this recipe. I cant really call it a real recipe, since all i did was blending cranberries and eggnog together in my Vitamix. If you dont have a high speed blender, then you just will need to blend it for a little more. I like to use our local California eggnog brand . 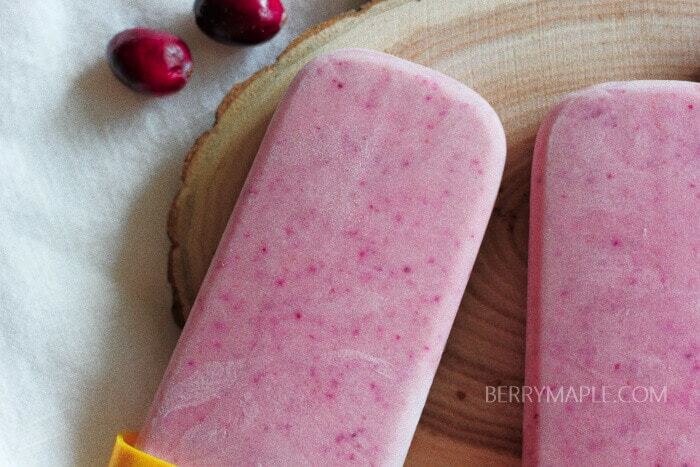 Cranberries are all over the place too at the holiday season and it makes it so easy to make this recipe! Cranberries are so easy to find in any store at this time of the year, but what i like to do is to freeze them (prewashed) in a ziplock bag and use within a whole year! Very handy and cheap! For the eggnog i prefer a store bought version, just because i never have time to make my own. But that’s in my to do list for the future for sure! Wash and dry cranberries. Put them in your blender . Pour eggnog on top and blend until very smooth. 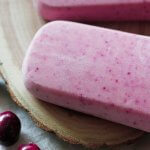 Pour into your popsicle molds and freeze for at least 4 hours, better overnight. 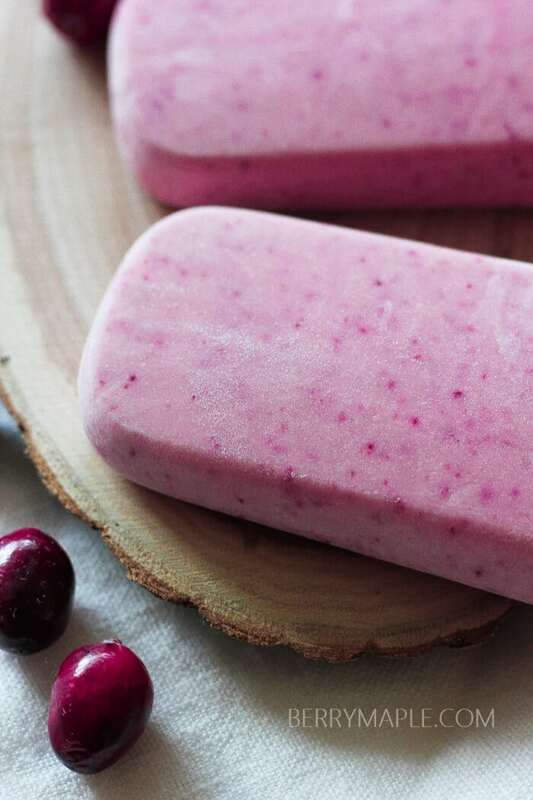 Run the popsicle mold under the warm water to release the popsicles. Enjoy! Note: This post may contain affiliate links. This means that if you click on a link and make a purchase, I will receive a small commission at no cost to you. Thank you for supporting Berry&Maple!